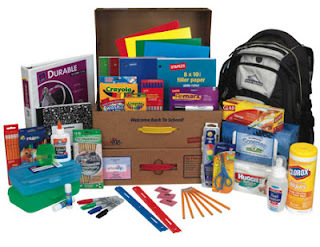 The PTA is offering school supply kits through Staples. Each kit contains everything you will need for the next school year. I've sent home order forms for the kits today. If you wish to purchase one, please return the sheet with payment by June 3. The kits will be ready for pick up at the open house on August 12.